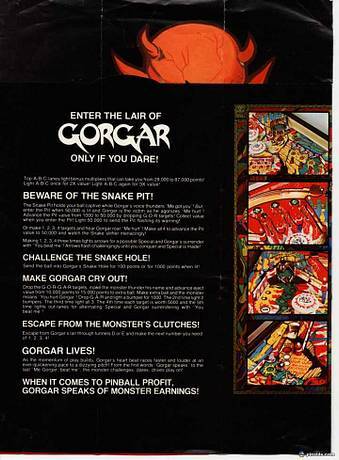 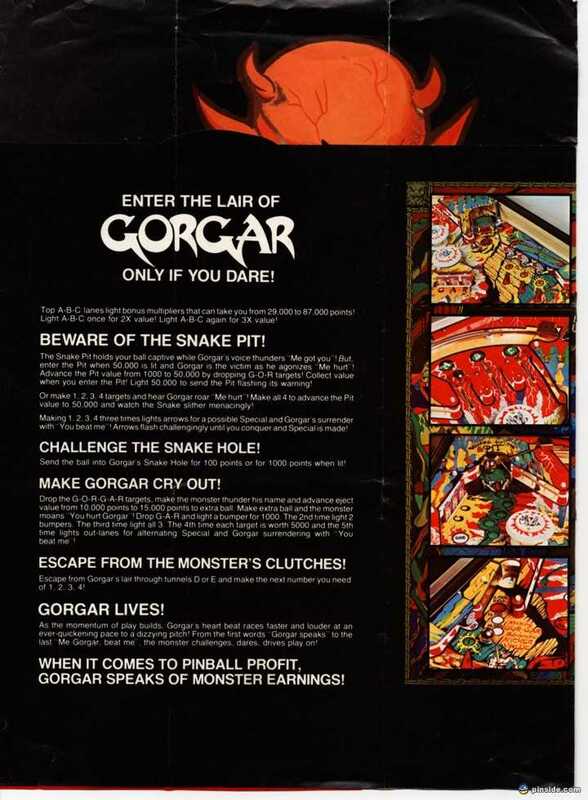 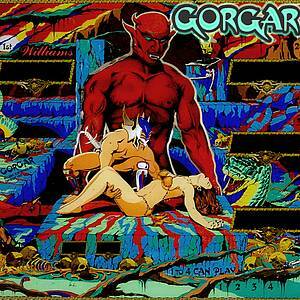 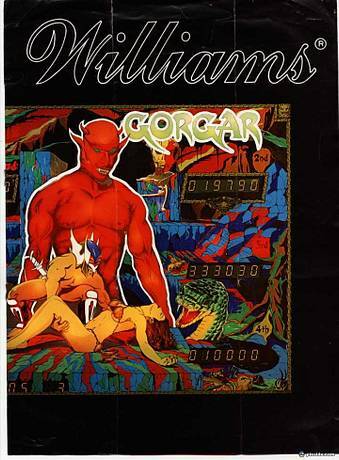 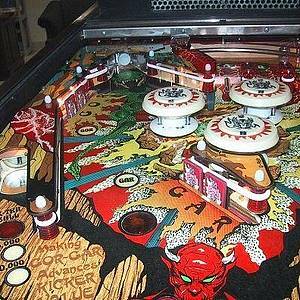 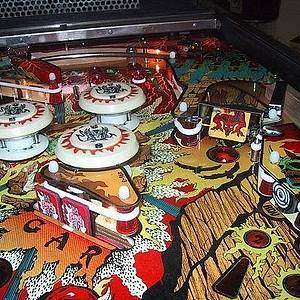 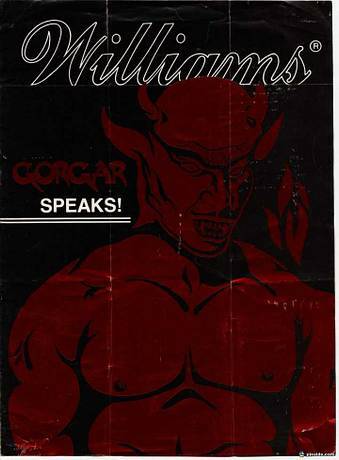 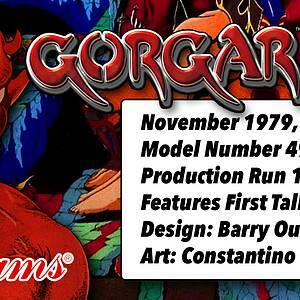 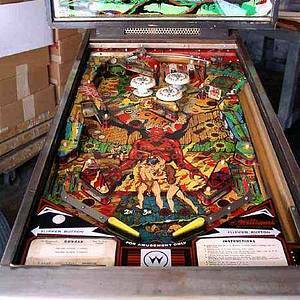 Gorgar was the first talking pinball machine with a vocabulary of seven words: Gorgar, Speaks, Beat, You, Me, Hurt, Got. 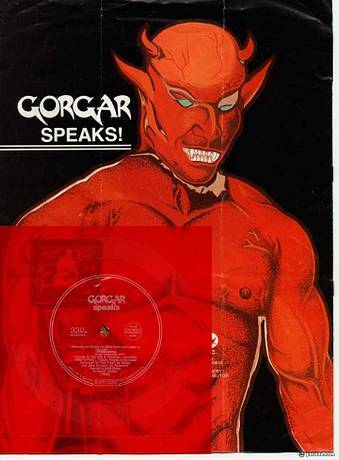 The words could be combined together for different phrases. 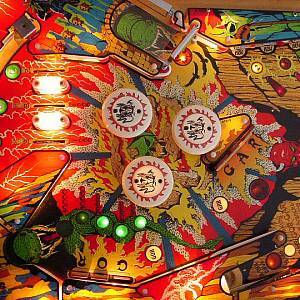 This game has received 201 approved Pinsider ratings and currently has a rating of 7.558 out of 10. 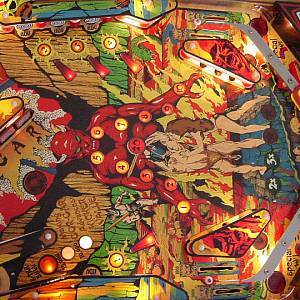 This game ranks #132 in the Pinside Pinball Top 100. 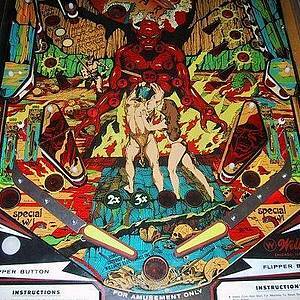 There are 96 rating comments for this game. 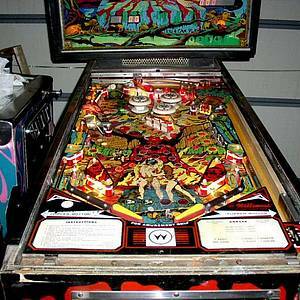 493 Pinsiders have this game in their collections. 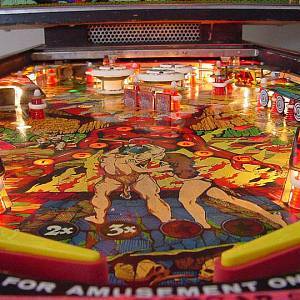 222 Pinsiders have this game on their wishlist. 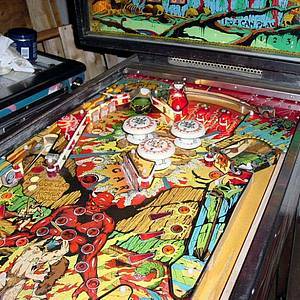 62 public locations known where you can play this machine. 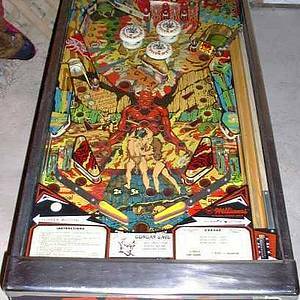 Williams System 6 6802 mod... remove BOTH rams (IC 13 & IC 16)?